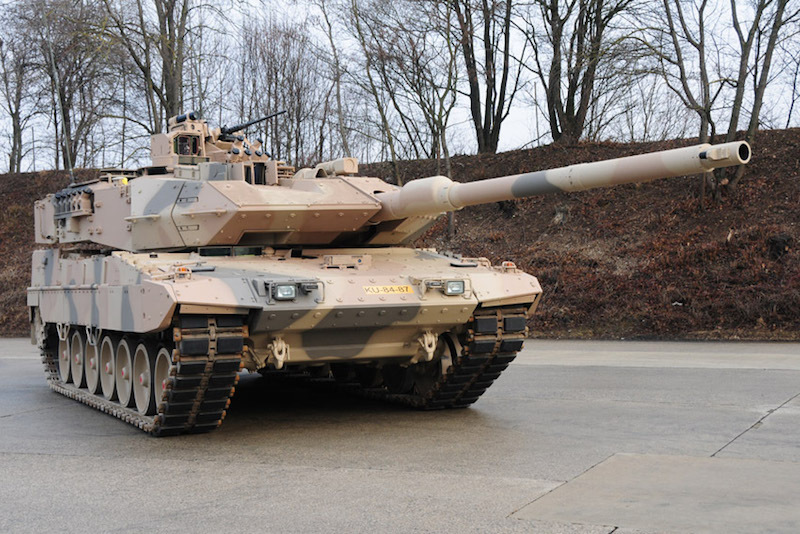 MUNICH / KOBLENZ, Germany --- Krauss-Maffei Wegmann (KMW) has been awarded a contract to modernise 101 Leopard 2 A6 main battle tanks. The contract in question was signed on 28 March 2019 at the German Federal Office of Bundeswehr Equipment (BAAINBw). It is worth more than €300 million. Among other things, the operating concept, targeting system and fire control computer as well as the chassis are being upgraded to the level of the Leopard 2 A7V. By this step, the diversity of different models of main battel tanks being operated in the Bundeswehr will be reduced further and the logistical footprint of the systems will be simplified. Moreover, tank crews will no longer need additional training on the different Leopard variants to be able to operate the systems. All 101 vehicles will have been delivered by 2026. Krauss-Maffei Wegmann, a member of the German-French defense technology group KNDS, leads the European market for highly protected wheeled and tracked vehicles. At locations in Germany, Brazil, Greece, Mexico, Singapore, the United Kingdom and the USA more than 4.000 employees develop, manufacture and support a product portfolio ranging from air-transportable, highly protected wheeled vehicles through reconnaissance, anti-aircraft and artillery systems to main battle tanks, infantry fighting vehicles and bridge-laying systems.